Traditionally, tourists in Sweden have come from the neighbouring countries of Denmark, Norway and Finland. However, in recent times, Sweden has become a much more popular destination with tourists from other parts of Europe; especially Britain and Germany, as well as from countries outside the continent. But while many tourists restrict their visits to the most obvious destinations in Sweden, such as Stockholm, there are also many less frequented spots of beauty to visit in the country. 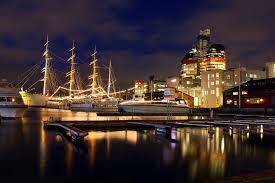 The city of Gothenburg, for example, offers a range of cultural delights and attractions to enjoy. 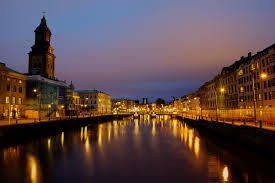 Located in the province of Västergötland on the west coast of Sweden, Gothenburg is the second largest city in Sweden; as well as the country’s largest university city, counting some 60,000 students among its inhabitants. Perhaps due to the diverse composition of the city’s population, Gothenburg's cultural offerings are both rich and varied. Its architectural heritage is interesting, dating back to the seventeenth century. Its eighteenth century buildings date back to the time of the East India Company - which made Gothenburg one of the most important trading cities in Europe - while its nineteenth century architecture centres on the main street of Kungsportsavenyn. Today, Gothenburg's architecture is led by figures like Gert Wingårdh, who began as a post-modernist in the 1980s and still maintains a significant sway over the city's architectural developments. Gothenburg is also a European leader when it comes to music. It is, for example, home to the Gothenburg Symphony Orchestra, a leader in classical music. Furthermore, Gothenberg is home to the Gothenburg Film Festival, the biggest film festival in Scandinavia. The city also boasts a range of free theatre ensembles, such as the Gothenburg City Theatre, the Backa (youth) Theatre and Folkteatern. But of all the attractions in Gothenburg, its culinary offerings are surely the most delightful. In fact, Gothenburg is famous in Scandinavia for attracting talented chefs. Its fantastic coastal position by the North Sea means that the city boasts a number of high quality fish and seafood eateries, as well as many Michelin starred restaurants. If you're looking for great places to buy raw fish in Gothenburg, visit the Feskekôrka, or "Fish Church", an indoor fish market. Furthermore, Gothenburg has the highest concentration of cafes and coffee shops in Sweden, partly as a result of its long-standing student culture. If you're interested in basking in the sights and sounds of this amazing city, rest assured that you won't be short of options when looking for transport or booking accommodation in Sweden. A variety of travel websites will help you find what you're looking for; but you can always turn to established hotel chains in the region, such as Scandic hotels, for affordable and dependable family accommodation. So whether you're travelling to Gothenburg on a family holiday, a romantic getaway for two or a backpacking trip with your fellow students, you're sure to have a truly memorable experience!